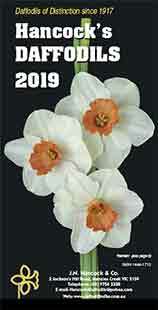 In our current catalogue mailing you will receive Hancock's Daffodil & Spring Bulbs 2019 and the bonus Bulb Planning Guide. They can be downloaded from the links on this page. Better still request to have your own high definition full-coloured copies sent by mail. 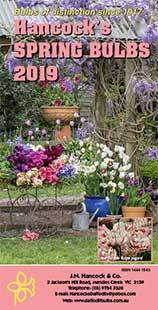 2019 Season catalogues posted request here.